🧚🏻‍♀️ Limited editions + fairies = best news of ever! Gah! I’m running late for an important date! But I’m here! I’m here! Where? Uh, at my desk in Toronto, Canada. 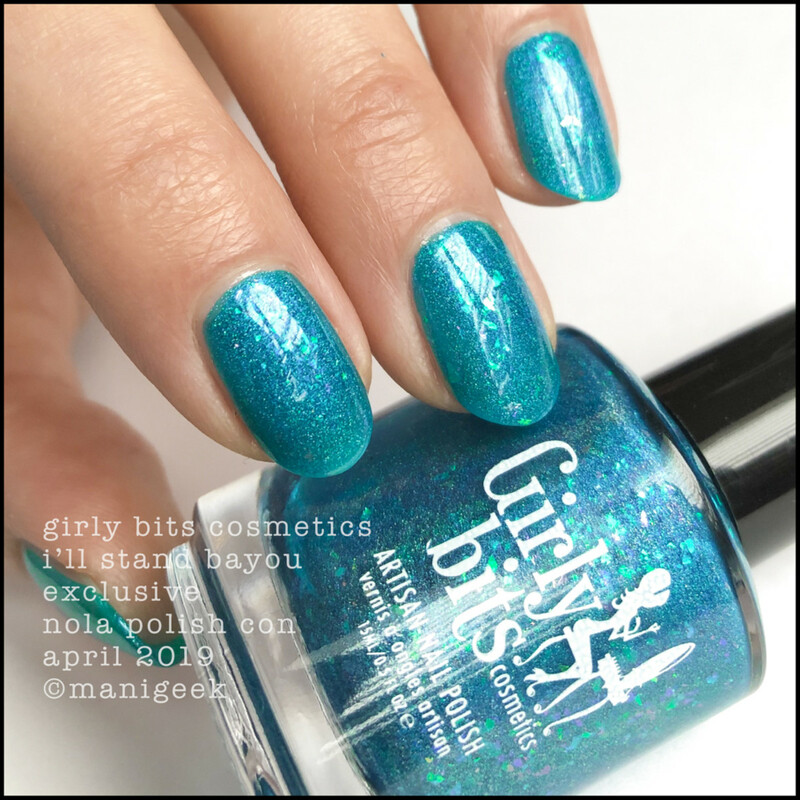 Nope, not in New Orleans for Polish Con April 2019 where Girly Bits Cosmetics and a whole bunch of other indie magicians have congregated for the weekend. 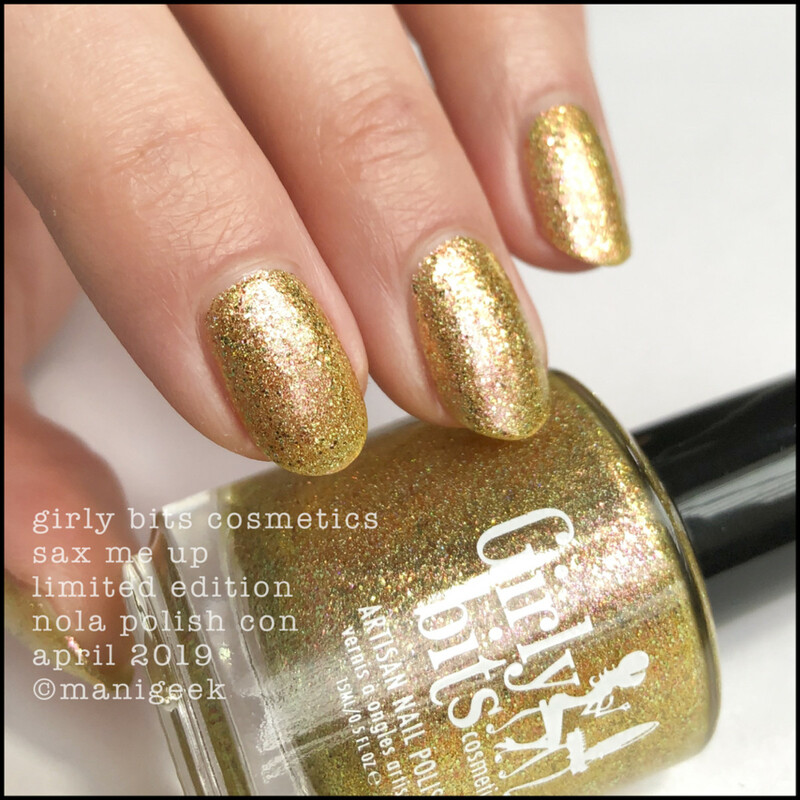 Girly Bits Sax Me Up – Limited NOLA Polish Con April 2019 (above). 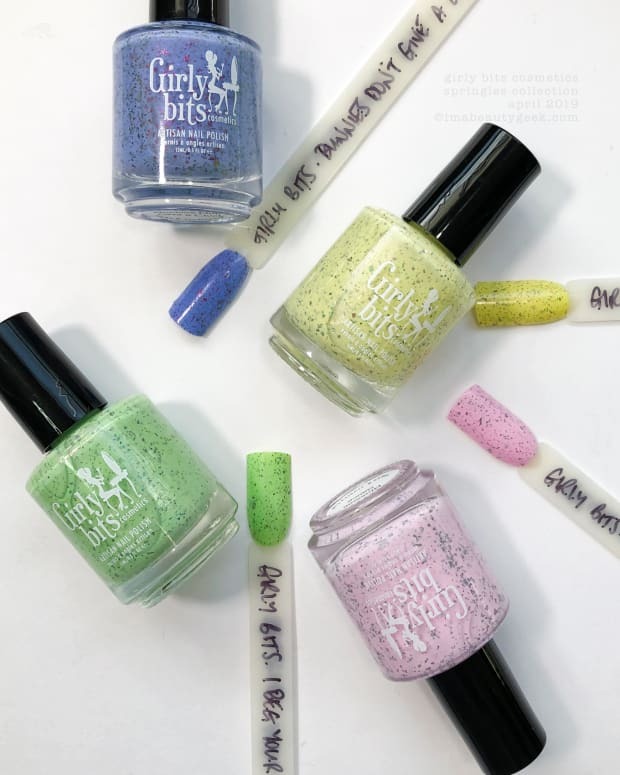 It’s okay though, because here at my desk in Toronto, Ontario, Canada, I have the Girly Bits Cosmetics Exclusive and Limited Edition Polish Con 2019 shades to show you! I know, right? Exciting! 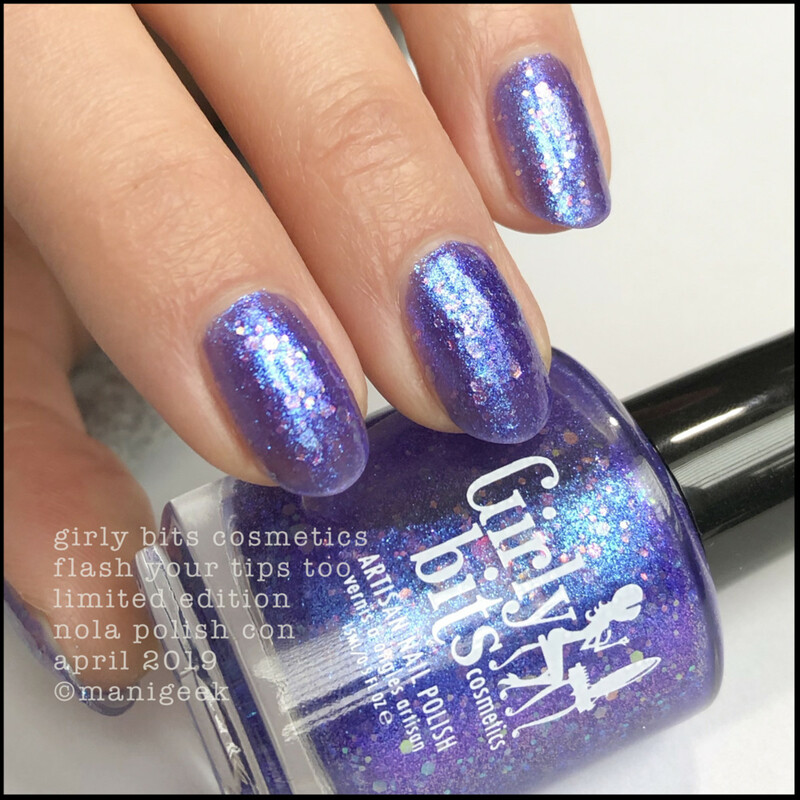 Girly Bits Flash Your Tips Too – Limited NOLA Polish Con April 2019 (above). 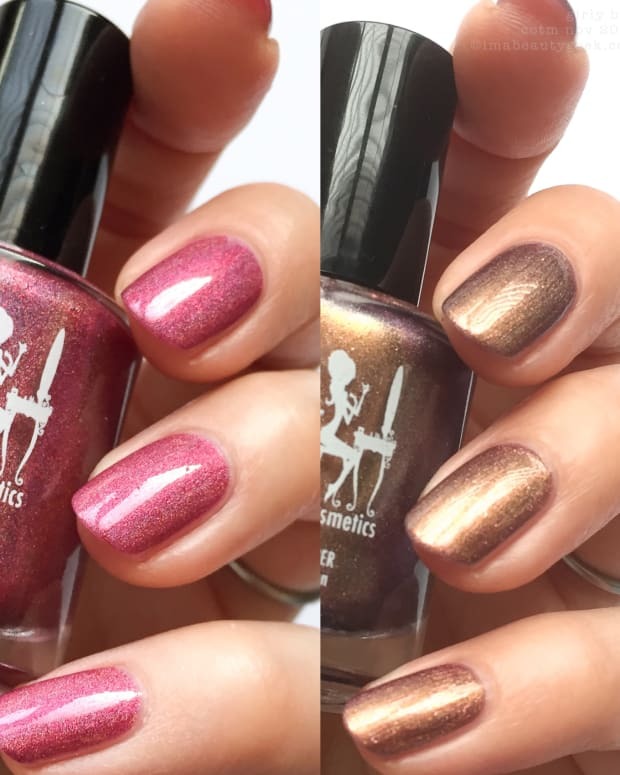 These four shades are stuffed with all kinds of New Orleans sparkle and sass. They’re Pam’s usual top-shelf kind of formulas, and what you’re lookin’ at is 2 coats of each + top coat. Easy, peasy lemon squeezy. 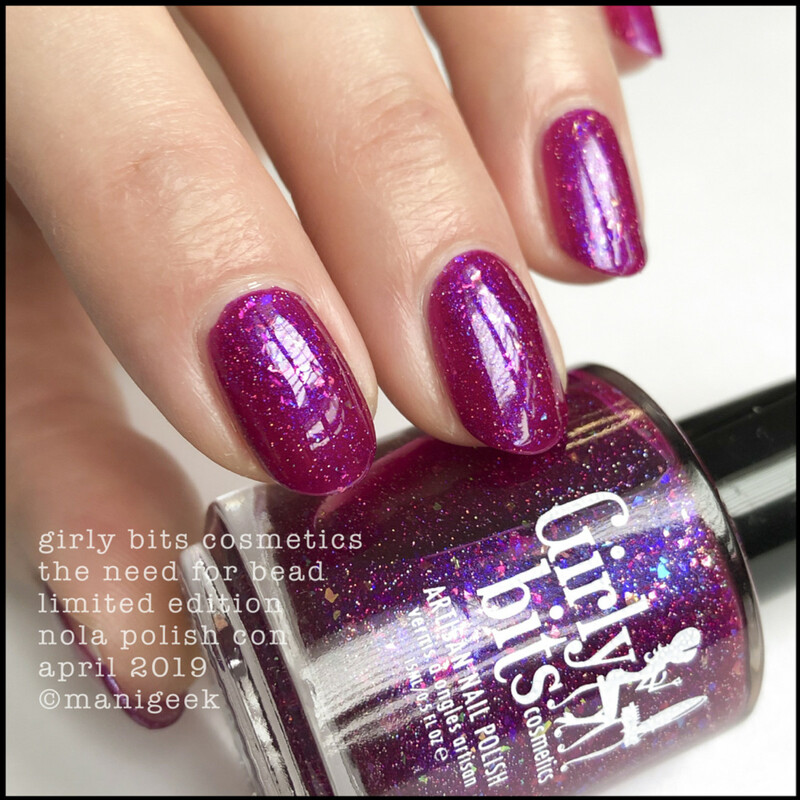 Girly Bits The Need for Bead – Limited NOLA Polish Con April 2019 (above). I know you’re thinking that it’s sad we’re both not in New Orleans and that it’s wrong of me to show you stuff you can’t get, but guess what! You can totally get these without the price of an airline ticket OR hotel room! 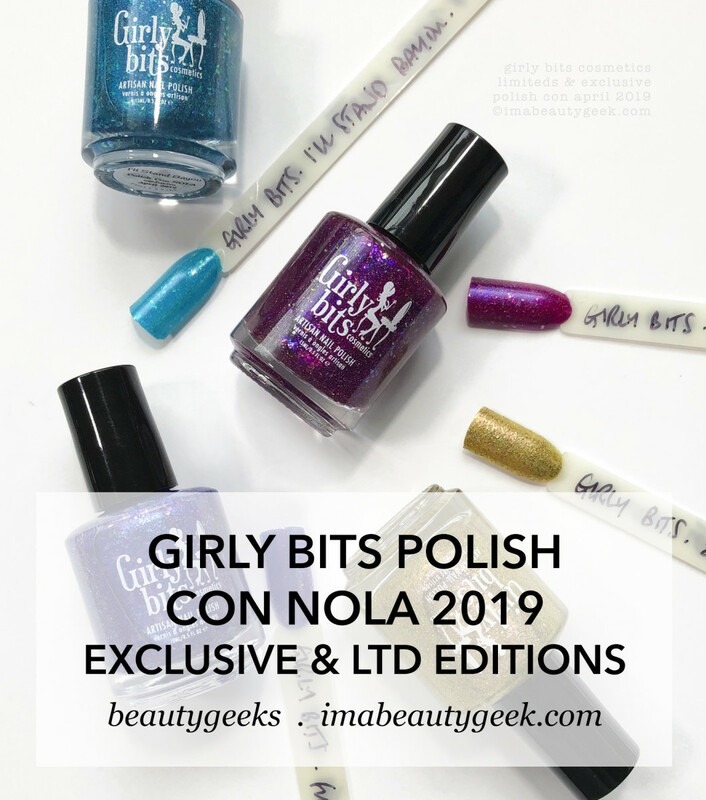 Girly Bits I&apos;ll Stand Bayou – Exclusive NOLA Polish Con April 2019 (above). How? PolishConFairy.com. Yep, it’s a thing. How long do you have? Not long. The Fairy Shop shuts down at 11:59pm EST on Monday April 8, 2019. 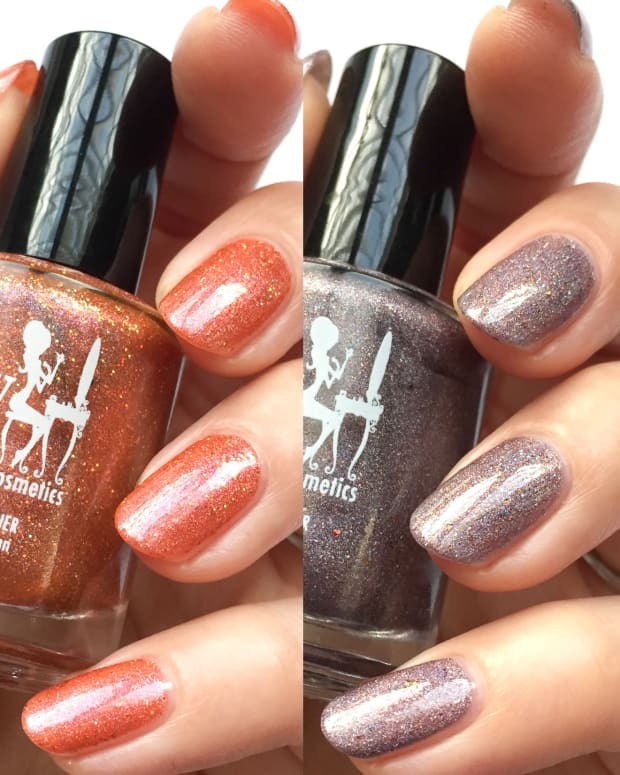 They’ll take a little while to wing their way over to you, but if you aren’t in New Orleans this weekend and have your heart set on any of these Girly Bits limited shades, it’s a genius way to get your grubby little hands on ‘em. Unless you’re me. Then you already have them. #Lucky. manis & photos karen (she always forgets her double-walled mug keeps stuff so hot for so long).